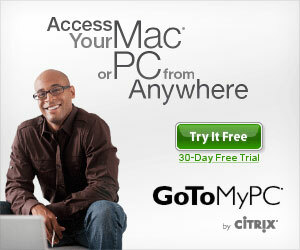 GoToMyPC allows you to get fast, easy secure remote access to yoru computer from anywhere. It’s compatible with any type of PC and smartphones. You can work on your office computer from home. You can travel anywhere and work remotely. Never again go out without access to any important files that are on your computer.